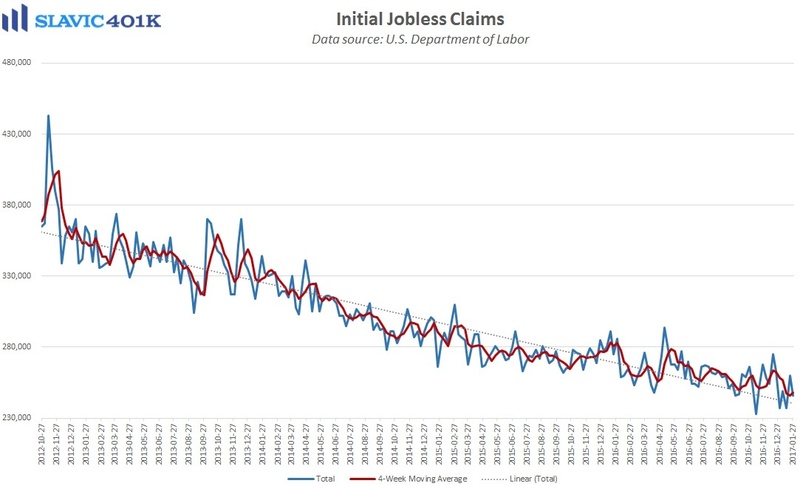 There were a few important reports on the U.S. economy released this morning. 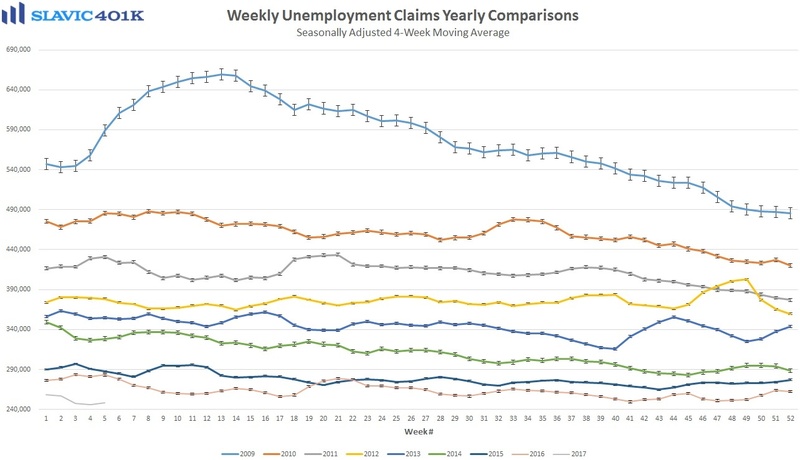 First, data from Challenger, Gray & Christmas showed that 45,934 corporate layoffs were announced in America in January, a 37 percent increase from December. 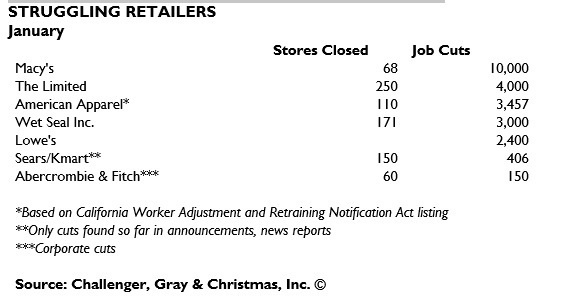 While last month’s total number of job cuts was the highest since April, elevated separations are to be expected following the holiday shopping season as retailers let go of extra staff. 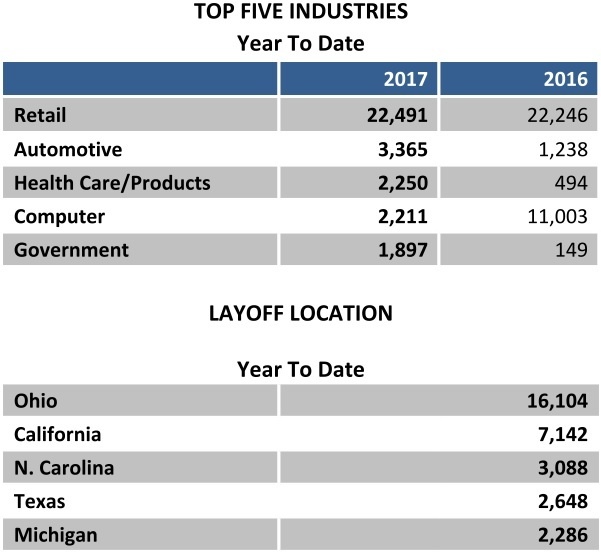 More importantly, corporate layoffs this January were down 39 percent compared to January 2016, which had not just high job cuts in the retail sector but also the energy arena. 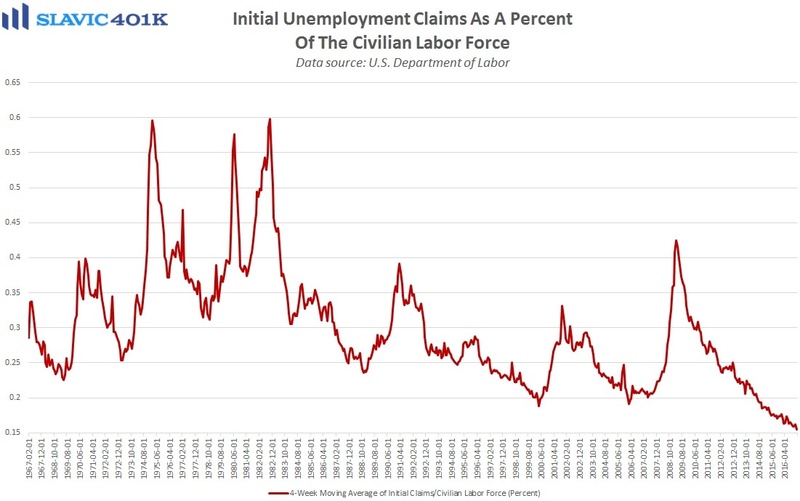 Moreover, energy firms announced 20,103 job cuts in January 2016 versus just 1,853 planned layoffs this year, a reflection of the significant rebound in oil prices. John A. 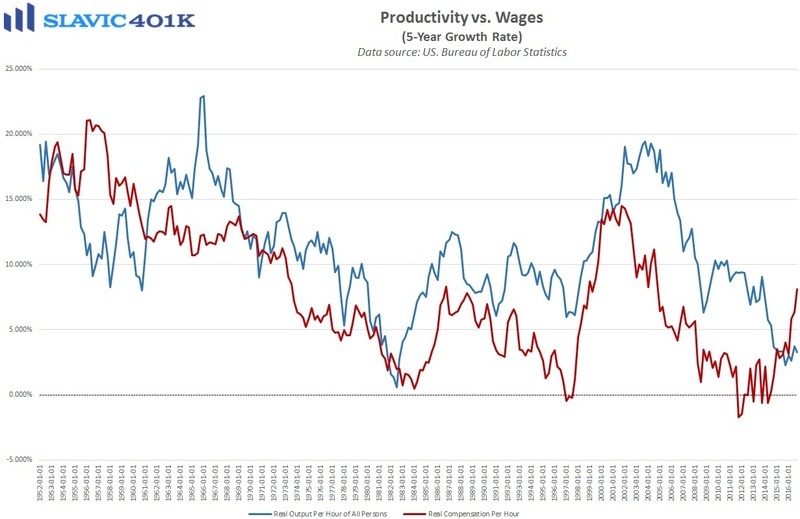 Challenger, chief executive officer of Challenger, Gray & Christmas, added that “With an administration that is expected to be very friendly to the oil, gas, and mining industries, many are forecasting a swift and sustained turnaround for these firms in 2017. 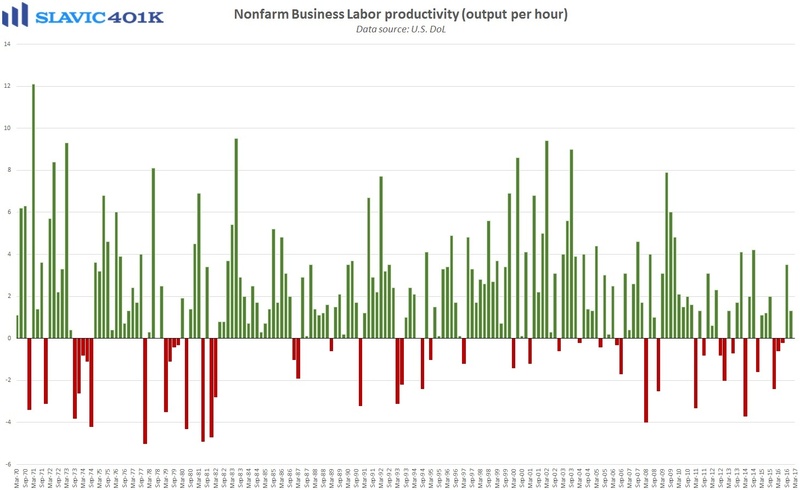 The fact that January job cuts in the sector were 91 percent lower than a year ago, certainly appears to support that outlook.” Despite the uptick in corporate layoff announcements last month, a broader measure of job cuts has improved recently. 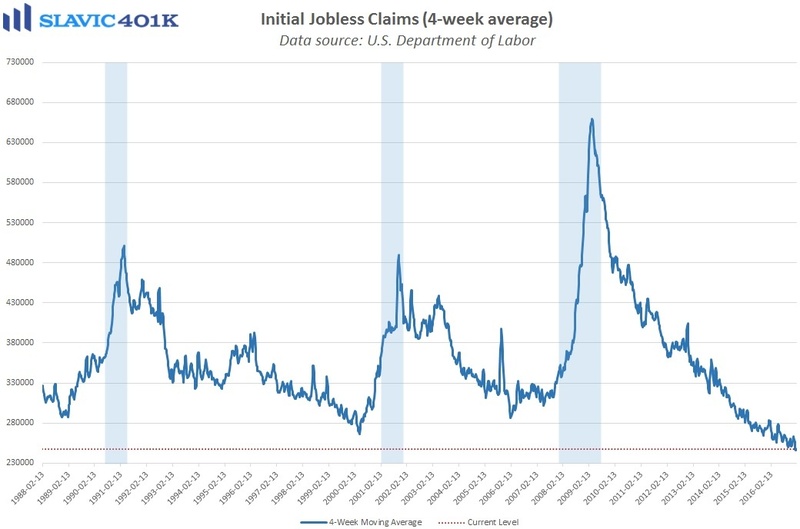 Indeed, the number of Americans making first-time claims for unemployment benefits fell by 14K last week to 246K, the 100th sub-300K print in a row and a sign of a still overall healthy labor market.